You know your clients. 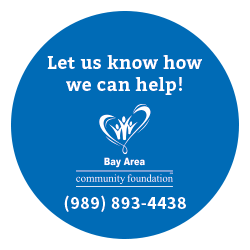 Bay Area Community Foundation knows philanthropy. 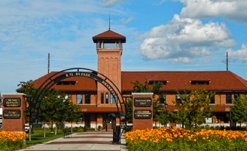 We are here to help so that together we can make sure your clients know all of their options for charitable giving in our Bay and Arenac county communities. We manage our funds carefully, invest wisely, and make the giving process as simple as possible for your clients. 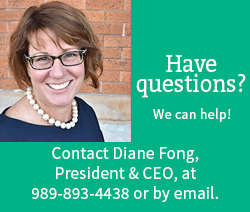 Please let us know how we can help you assist your clients with their long-term giving plans. 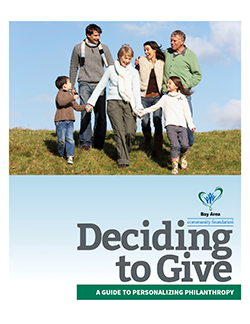 Giving Guide: A comprehensive guide to giving at Bay Area Community Foundation with real-world examples, sample language for leaving us in a will, and information on our different types of funds. 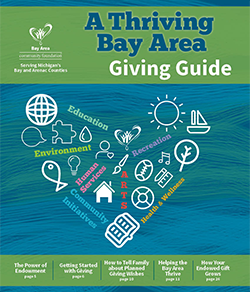 Deciding to Give: A helpful checklist for you and your client to go through to narrow down what your client is most passionate about and how Bay Area Community Foundation may fit into that.